Painted trim all over house, power washed walks and driveway, cleaned and applied sealant to deck, cleaned gutters and roof, replaced worn boards. "Work was done efficiently and expeditiously. The workers were experienced and polite. 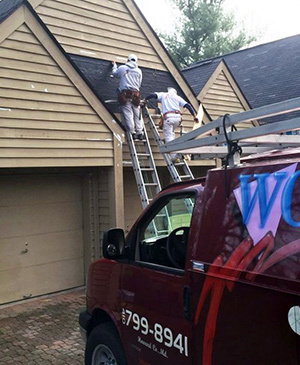 Mr. Wokenfuss was pleasant and accomodating.I am very pleased with the quality of the work and the appearance of the house. Now we have curb appeal. He was aware that customers like to have the work finished as quickly as possible so even had his workers come in on Sunday. We are now ready for winter."